Rachel, a Jewish-American doctor, and Jake, an Arab-American government bureaucrat, go on a goose chase across the Middle East trying to solve the mysterious death of Rachel’s treasure hunting brother. From Los Angeles to the deserts of Jordan and the ancient city of Petra, they find themselves hunted by a doomsday group called the Armageddonites who believe Rachel and Jake possess the missing Dead Sea Scroll that could bring about the end of days. Caught in the middle of a plot to hasten the end of mankind, Rachel and Jake need to solve the murder, find the scroll and find trust in each other. 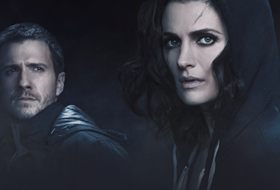 – The film has drama, comedy, suspense, and action all brilliantly balanced by Stana and the cast. – Fans of Stana will be extremely happy because this is HER movie and she is AMAZING. 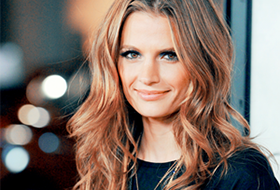 – Stana is full of life, has incredible range, charisma, & humility. Can do drama comedy and action at the same time. – It’s a loose adaptation of the book. It has more of an adventure. Hitchcock meets lethal weapon, and a little bit of Indiana jones. – It is an American film.